-Inventing the "BESH Wedge, 2001, strongest dagger tip in the industry. -The custom XSF-1 was selected by Canadian Military Chief of Defence Staff as presentation gifts for world Generals. -Knife design collaboration with the works of W.E. Fairbairn and E.A. Sykes to create the Scorpion Knives BESH Wedge Dagger. -Knife design collaboration with the works of Col. Rex Applegate and W.E. Fairburn to create the Blackhawk UK-SFK. -Knife design collaboration with the works of Col. Rex Applegate and W.E. Fairburn to create the Boker Applegate-BESH Wedge. -XSF-1 design was put in the National Knife Museum, Sevierville, TN, USA. 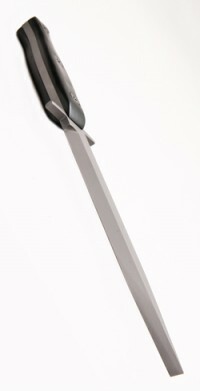 -XSF-micro punch dagger by Blackhawk was highly recommended by the National Tactical Officers Association. -XSF-1 featured in fiction novel Direct Action by Peter Telep. -Custom designs profiled in book Fight Knives - Knife Fighting by Dietmar Pohl. -Maker and designs profiled in: USA's Blade Magazine; USA's Tactical Knives; USA's Knives Illustrated; USA's Combat Arms; Russiaâ?™s Prore; Japan's Knife Magazine; Germany's Calliber and Canada's Thrust Magazine. -Custom BESH knives carried by military and law enforcement professionals worldwide.